Holidays are the best time of the year and Christmas marks the beginning of the winter season with its mysticism and aura of cheerful welfare and joy. Every holiday brings with it a spark of enthusiasm and celebration which is reflected in our homes and neighborhood through the dramatic yet subtle decor. While we find ourselves enjoying the warmth and glow around hot chocolates and coffees , the holiday decor is what makes it all the more beautiful. With every passing year, Christmas decor has gone through a change from vintage to modern but still holding on to its traditional roots. Even before the Holiday season starts, we find ourselves searching the internet for designs after designs of creativity to add a new touch to our homes and that's because it makes a huge difference what people see first when they enter our home. The first thing that catches everyone's eye as the step to the front door is the wreath dangling there in all its beauty. Wreaths are traditionally associated with Christmas and are an integral part of the decoration from pine cones to berries and gathered up twigs, wreaths are the beautiful addition to the household. 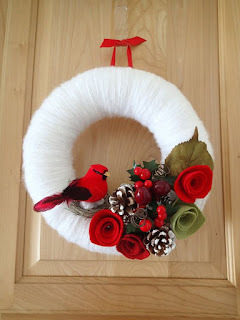 But what makes wreath more creative is if you can do it yourself. Let's look at 12 modern wreaths that can be adorned by your door this Christmas. 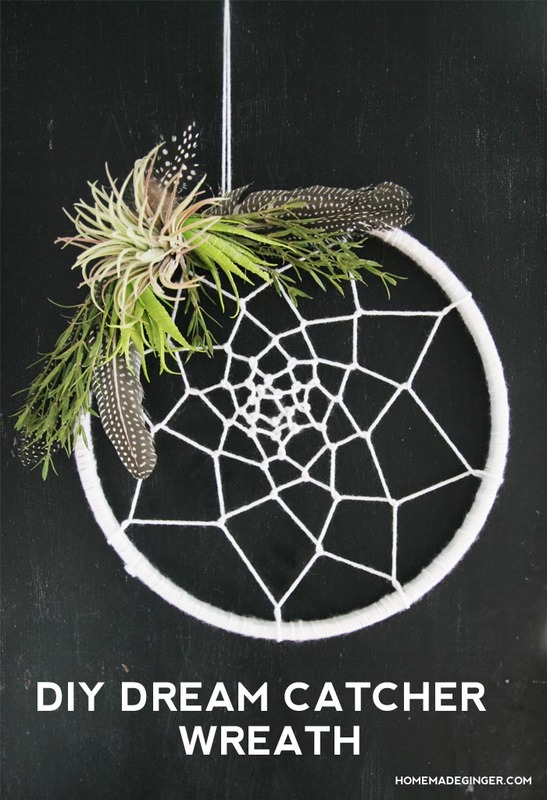 Who isn't charmed by the Dream Catcher? 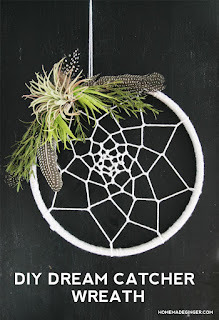 It prevents bad dreams and allows good thoughts to enter our minds and what better way to enter Santa's Nice list with some nice thoughts.This Christmas add a little Native American legend to your home with the addition of a Dream Catcher wreath made of faux plants, feathers, Embroidery hoop, some yarn and lots of dreamy touches. 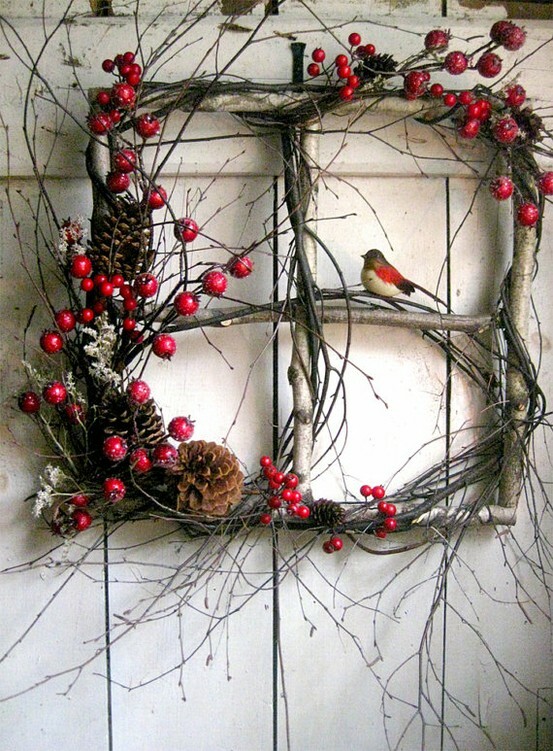 Bored of the traditional circular wreath of twigs, holly and pine cone then try a little different geometry this year with a square wreath that maintains the continuity of the holiday tradition with a modern twist.The framed twigs with pine cones, holly and little swallow or red robin would give a delightful view to your guests as they enter your abode.You can also play along with other shapes like oval , rectangle , hexagonal, triangle etc. the options are many. 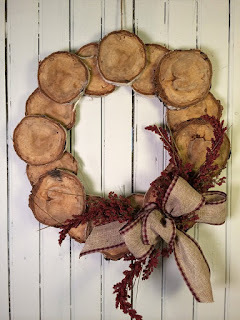 Rustic wreaths have been in traditions for long. A holiday cabin or an antique wooden door requires something special that will coordinate with the Yule log cakes you would be serving your guests. Made of wood slices, the layers are arranged in the traditional circular shape with bows made of burlap and Christmas accents of berries. 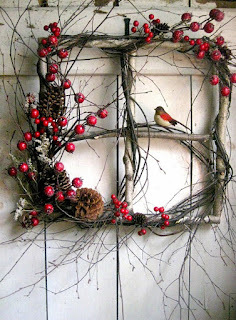 You can also add pine cones, acorns, twigs and leaves for something extra. The logs can also be arranged in different patterns and can be engraved or marked with personalized messages like Believe, hope faith, noel, joy etc. So what if you can't add a little snow to your Christmas party, you can surely add a snowman to it. Instead of a single wreath, you take it a notch higher by attaching two wreaths of smaller and bigger size making a snowman. 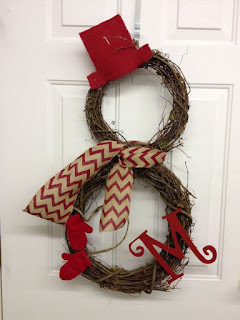 Add a hat, scarf, gloves and twigs for hands to make it look more realistic plus you can personalize it with a monogram. If you like the look of the traditional white snowman then you can glue cotton to the twig frame and attach paper nose and eyes to it. The names of children or the family name sound pretty good to include in the holiday wreaths. 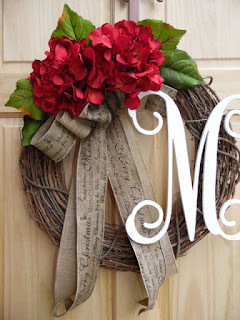 Make Initials out of cardboard or metal for your family name and attach it to your wreath with a bow of burlap and flowers.If you want a family name to reflect those family values add a monogram wreath to your door this Holiday to reflect all those traditions. The best part of Christmas starts with the baking.The aroma of cinnamon and vanilla wafting from the kitchen, the yummy cookie dough and lots of baked cookies spreads the essence of Christmas around the house.What better way to wake up to the smell of freshly baked cookies on a Christmas morning but let's not stop just there instead of putting those cookie cutters back in tins, make your holiday cutting edge by making wreaths out of it.Gather around cookie cutters of all shapes and size and bake a different wreath this Christmas. 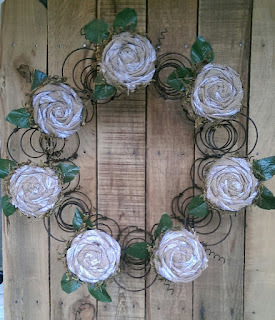 If you are someone who likes to utilise the old and rusty stuff lying around than dashing for something green in your backyard then metal wreaths are the latest decor you can try this year for your home and shed. Christmas cleaning couldn't have been any easier than this. Look around your garage for spare rings of metal or rolls of wire to make yourself a metal wreath. If you like steampunk then take metal gears to make a metallic wheel wreath. Yarn Ball Wreath have been in for a while , its really simple too you just need to attach colourful balls of yarn together in a circle to make a yarn ball wreath but making a wreath out of yarn is different plus it adds a personal touch to your home.Take a wooden or metal hoop and wrap it in yarn then add snowflakes, green leaves made of felt or fleece flowers of white and red for a traditional scene. It is not necessary to use traditional hues you can play around with colours of your choice and ornaments according to your mood. If you live near a coastal area then this wreath is for you. Comb the sea beach for pebbles, sea shells or sea glass of various shapes and colours and make a totally unique wreath out of it. 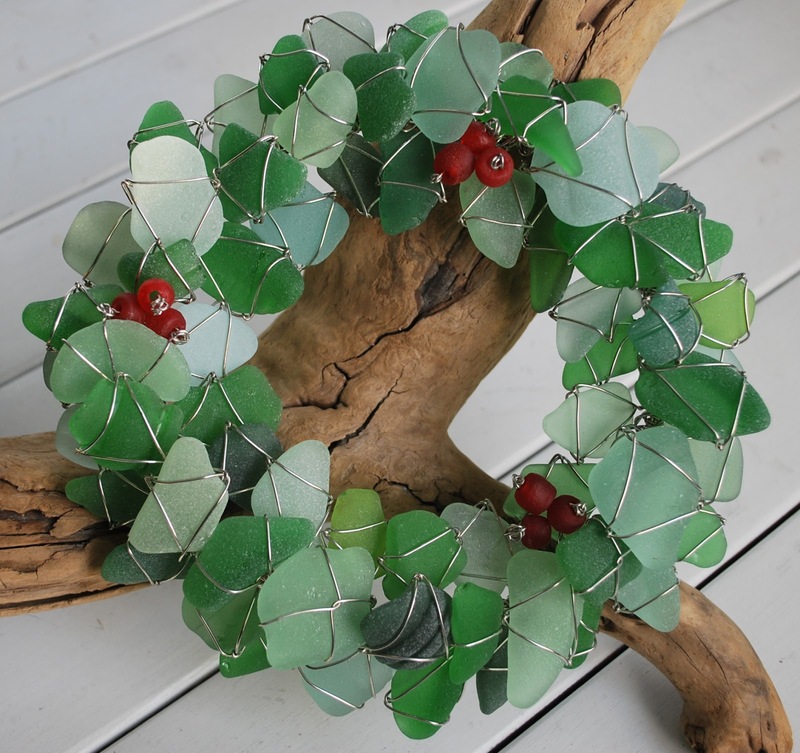 If you are lucky to find various sea glasses of green then wrap a wire around it, tightly bind every piece together to give it the shape of wreath later add red glass beads to make it look more natural. This glass wreath would also act as a sun catcher making it look more amazing outside your door. 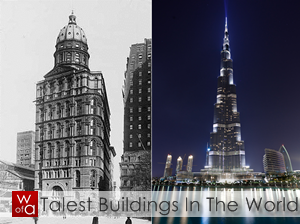 If modernization is one thing then utilisation is another. 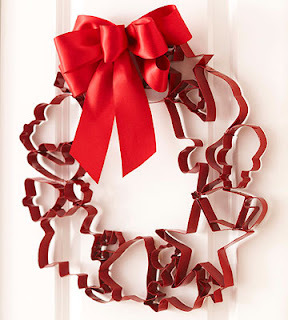 Christmas can be quite chaotic and the search for the right decor can be a tad bit tiring especially wreaths which change with every passing year. This year why not try something less pricey but a little more trendy with the PVC pipe wreath, if you have some lying around then cut it out to make a wreath that can also be used as an advent calendar by adding small gifts and ornaments for every day of the month. 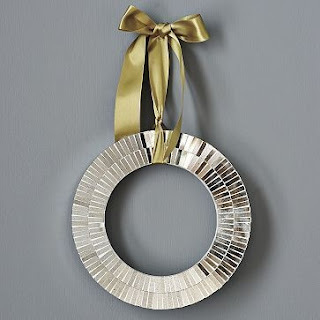 Mirrors are a common presence in the household but a mirror wreath can change a simple reflective tool into a modern piece of art, it not only looks incredibly stylish but its useful too. 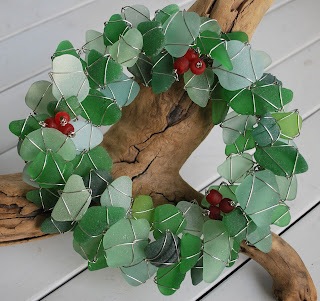 If you have pieces of rectangular mirror around the home then add them to a circular board or plywood to make a mirror wreath, you can also make a mirror mosaic wreath by sticking mismatched pieces of broken mirror. 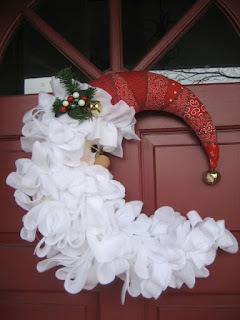 Christmas cannot be complete without Santa and if you are in a mood for some naughty and nice then try adorning your door with a Santa Wreath in the shape of a crescent moon. Make his beard out of white fleece, cotton or lace and add specs and crimson hat with a little bell dangling at the end. This wreath is surely going to delight everyone stepping up to your door for a Christmas cheer. So, this Christmas, not only follow tradition but modernise it. Do it yourself to add a personal touch to your home while sparking up the creativity around your household. Involve kids and cousins in this activity after all holidays are all about spending time together and having fun. 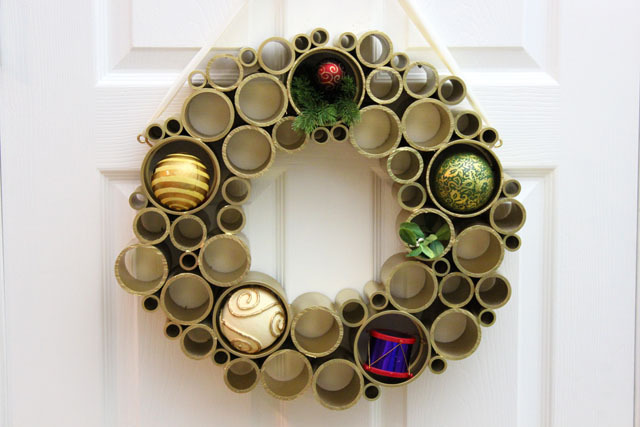 Enjoy making wreaths and try one of these 12 modern designs to beautify your homes.